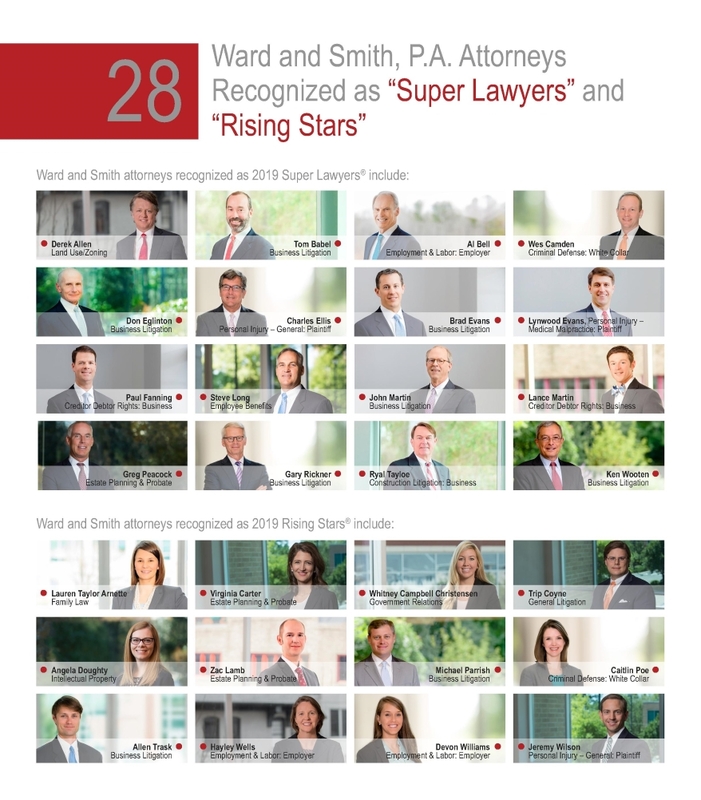 28 Ward and Smith Attorneys Recognized as 2019 "Super Lawyers" and "Rising Stars" - Ward and Smith, P.A. Ward and Smith is thrilled to announce that 28 attorneys have been selected for inclusion in the 2019's North Carolina Super Lawyers and Rising Stars® lists. 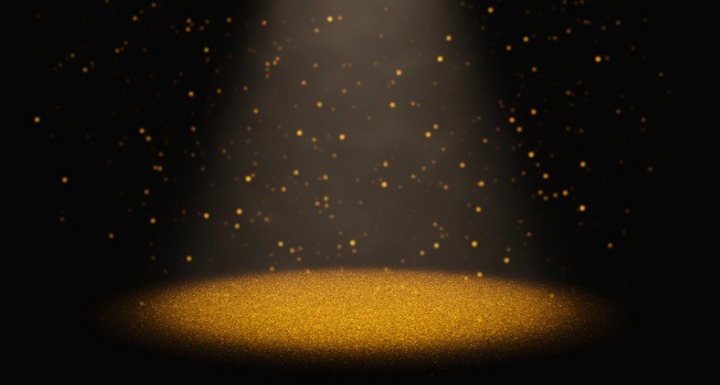 Around five percent of attorneys from across the state are recognized as "Super Lawyers," and fewer than three percent are named as "Rising Stars." 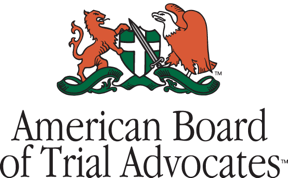 Super Lawyers recognizes outstanding lawyers from more than 70 practice areas who have attained a high degree of peer recognition and professional achievement. Selections are made on an annual, state-by-state basis. Visit Super Lawyers for additional information about the recognition methodology.